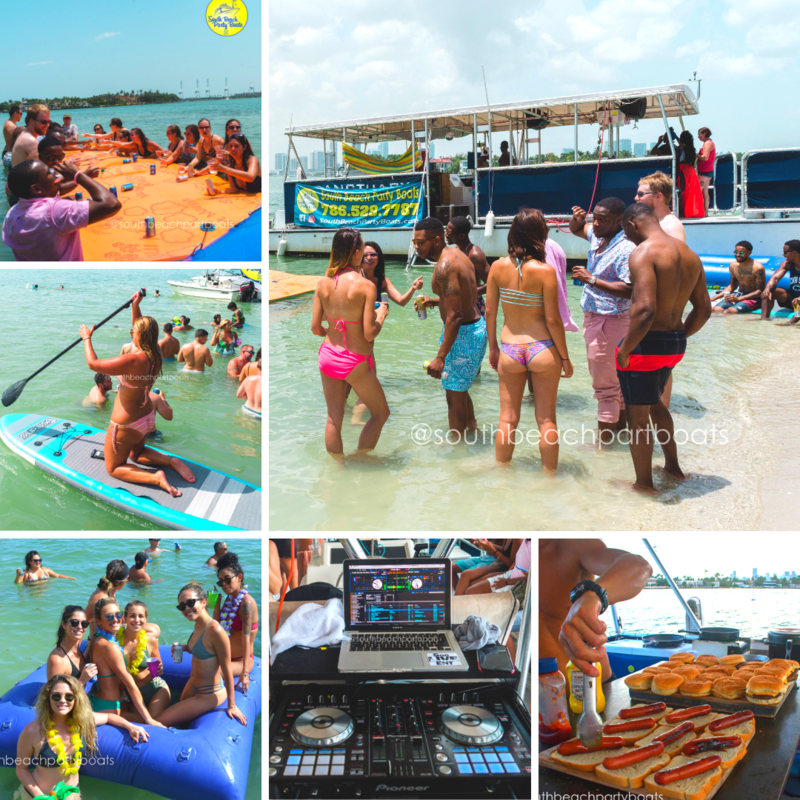 Enjoy a party boat to a tropical island for a BBQ with Food, Drinks & Music. Join us for the Miami Web Fest Private Island BBQ. Enjoy a party boat around the celebrity homes, then stop on an island for a BBQ with dogs, burgers and veggie patties. We include beer, wine, sodas snacks and food to keep party going. Jump off the boat Play with water toys and enjoy music from out professional. 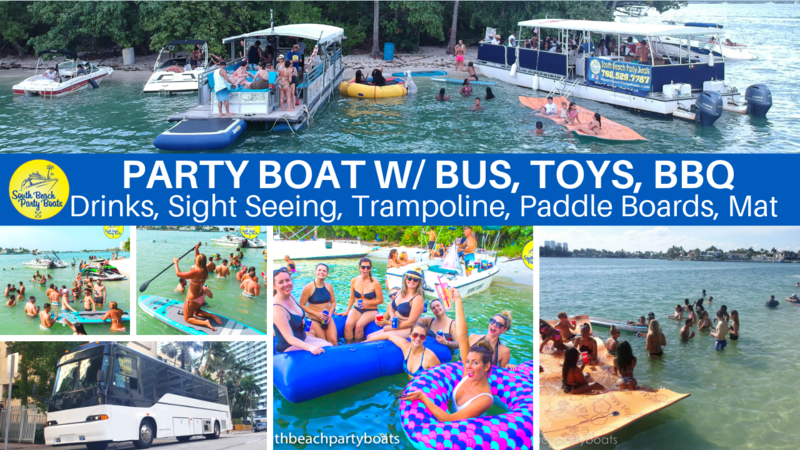 Dress code Swimwear because we will be stopping to experience Biscayne bay with free use of a trampoline, floating mat, paddle boards and other toys for fun. Your trip includes almost everything so lets have fun! Miami Web Fest Private Island BBQ Chick to Book! Join your friends at Miami Web Fest for a Miami Beach Adventure that you will not want to miss! 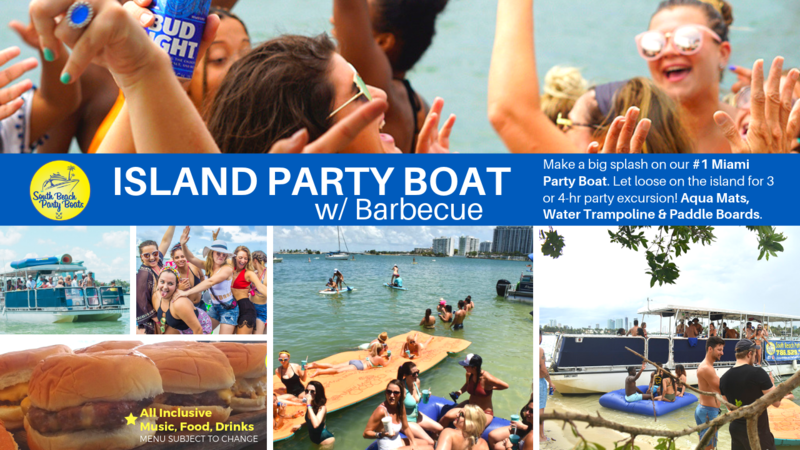 Enjoy a 3-hour private island BBQ with water toys and a 40-foot power catamaran. The excursion includes stand up paddle boarding, floating water mats, water trampoline and more! During the trip we cruise to the Island then anchor for 2 of 3-hrs and play your favorite music from our two DJ Speakers on the rafters. Charter in Miami for 20 people up to 39 passengers Boat Rental by South Beach.